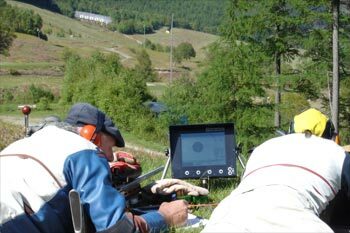 History was made for the National Rifle Club of Scotland when we shot this year’s Spring Meeting at Blair entirely on the new Kongsberg electronic targets installed by the West Atholl Rifle Club. The weekend was a total success. One may be forgiven for expecting all the usual glitches, even total failure, when a new system dependent on both radio and software is introduced for the first time, and in the depths of a Scottish glen at that. 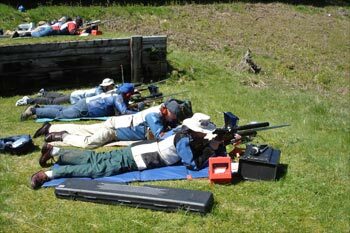 But not so; everything worked like a dream, bar just a couple of incidents when one of the targets needed re-setting. 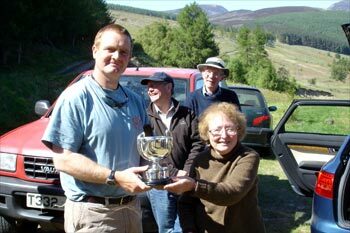 OK, the weather helped too, for we were blessed by two cloudless days of glorious sun and a consistent north-east breeze (unusual for Blair, as many sufferers will know!). But even if it had rained all the time we would have been under the new gazebos, and the results should have been much the same. Some reflections on this experience from a first-timer. Unquestionably the course of fire is speeded up: no Message 4s, no challenges, no long waits for your target to come up, no changing over of markers. And of course no cost of markers. 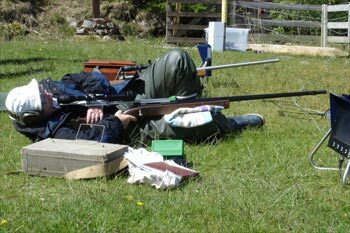 We finished each day miles inside schedule, taking all the pressure off the programme and making for a relaxed weekend, notwithstanding that we fired 105 shots to count. The individual monitors are pretty good, though a trifle hard to read when the sun is full on them. This backgunner also had trouble accommodating his eyes between the glare of the sun reflecting off my white scoresheets and the monitors; the solution was to use some grey scoresheets. Shooting in pairs the screen soon fills up with shots, so a re-set may be needed along the way, especially in a twenty shot shoot. But all the information displayed is quick, accurate and good, even to decimalisation of the value of shots: e.g. an inner pimpling the bull scores 4.9, and one nudging the magpie line 4.0. This could yield a whole new language for our bad-luck-stories, maybe even a new scoring system too! Thank you, West Atholl, for your initiative, so well researched and implemented. The future is with us, and it works.